One of my more recent immigrant ancestors was Thomas King. Thomas, his wife Harriet, their son David and Thomas' brother Lewis King left Suffolk England circa 1831 for North America. Lewis and Thomas were born in Wenhaston, Suffolk England. 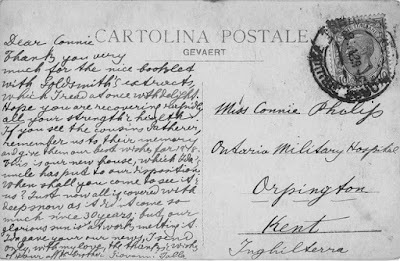 In 1817 the brothers married and began raising their families but in 1831 they decided to settle in what was then the wilderness of Upper Canada (present day Ontario). Joining a small group of Englishmen, they sailed to New York and then crossed into Canada. 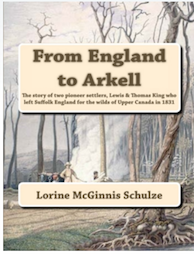 Once in Upper Canada (now called Ontario) they established a new settlement called Arkell, named after the leader of the group. 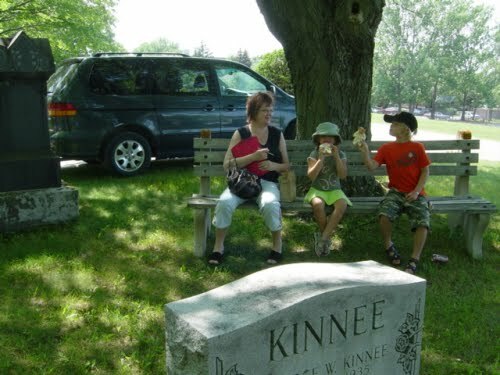 Descendants of the two pioneer brothers settled mainly in Michigan, Ontario, Australia, and Alberta. Like Clinton or not, it's a historical moment. No other words needed, just read this story and check out all the names being added to the thank-you letter beside her grave. Today I had an opportunity to play a new game by Blue-Orange called Dr. Eureka. This is a really fun game where every player is a scientist. Each scientist is trying to solve a formula using plastic test tubes to get coloured balls into the same pattern shown on a card. Sounds easy, right? Wrong! 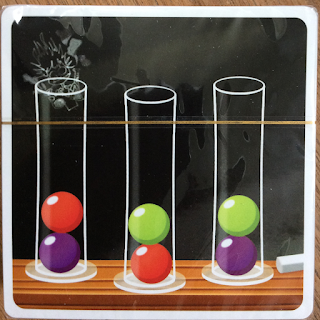 The challenge is that you have to pour your balls from one test tube to the other in order to get them in the correct order. You can't just dump the balls on a table and sort them. This game is great for young players but also for older ones, including adults! What a great activity for genealogists to bond with their children or grandchildren. Imagine the ancestor stories you can tell as you all try to solve the formula. It's also educational. Younger children are going to learn planning and thinking ahead. All players need to think logically, devise a plan and then execute their ideas for getting those balls into the correct order. To put it simply a card is chosen. Each player races to be the first to solve the formula (getting all the balls in the same order as shown on the card). The first player to solve the formula gets the card. The rules say that the first player to get 5 cards wins, but you could set the final number at anything you wanted. Playing to get 5 cards takes around 10 to 15 minutes. Two of my grandchldren, now aged 8 and 10, spend a week with me every year and sometimes it is during school days. As a former teacher I have them write in their journal each day, and do some math with me. I found that having a couple of games of Dr. Eureka between the Math and the Journal writing helps them switch to a different mode of thinking. We do Journals first, then Dr. Eureka to switch their thoughts from creative to logical, then we tackle Math. I rate this game 5 stars. It's easy to understand, fast and easy to play as well as lots of fun. Disclaimer: Blue Orange sent me a free game for review purposes. This is my July article for Legacy Family Tree and I think you'll enjoy it. I created this fun game for my eldest grandchildren when they were 6 and 8 years old. They loved it! Can a Lost Colony Come Back to Life? England’s first settlement in North America vanished completely three years after it started. 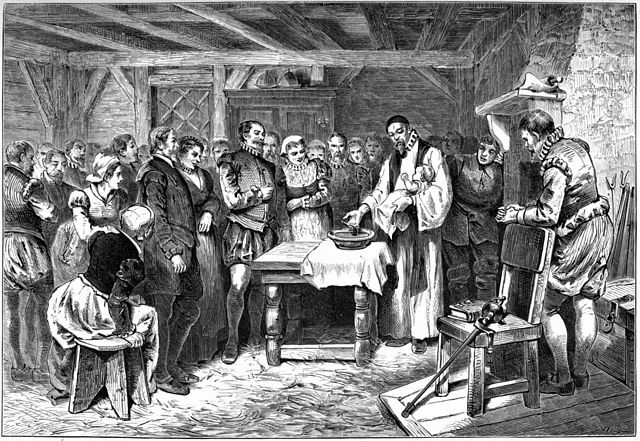 In 1587, 116 English settlers led by John White landed on Roanoke Island. He left them there when he sailed back to England that same year for more supplies. Delayed by war between England and Spain, he didn’t return until 1590.The colony had disappeared and no trace of the settlers or the settlement was found. The mystery may be solved as some archaeologists suspect that the colonists found their way to the inland site south of the Chowan River bridge, roughly 50 miles from Roanoke. It first came to light in 2012, when researchers at the British Museum in London announced they had found a drawing of a fort that had been obscured under a patch on a map of Virginia and North Carolina drawn by White in the 1580s. Jacob and Sophia Burkholder, my 5th great-grandparents, were the first settlers in Hamilton Ontario Canada on land called the Burkholder Settlement. 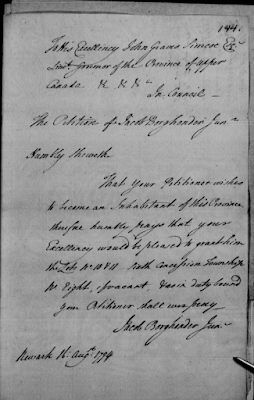 Jacob's land petition shows he arrived in Upper Canada July 1794 and applied for land 7 Aug. 1794. On this petition his name is recorded as Borghonder. 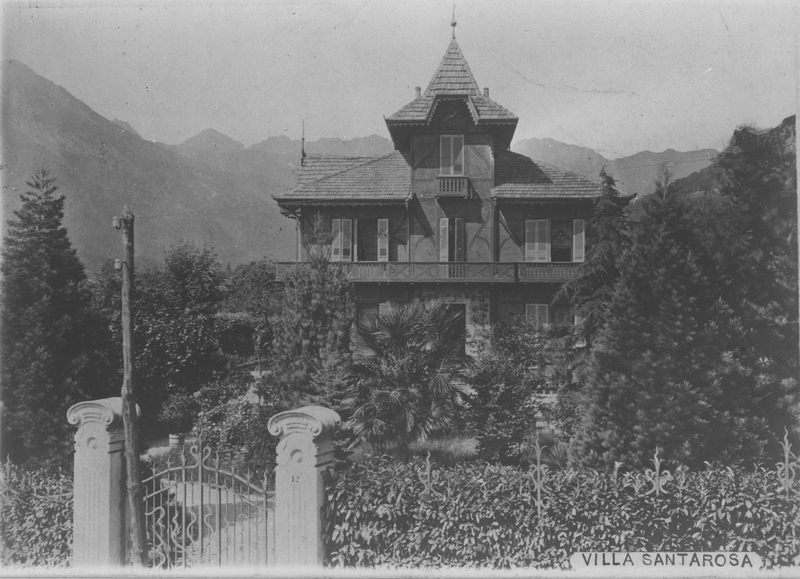 The Burkholder family came from the Ementhal valley outside Berne, Switzerland. 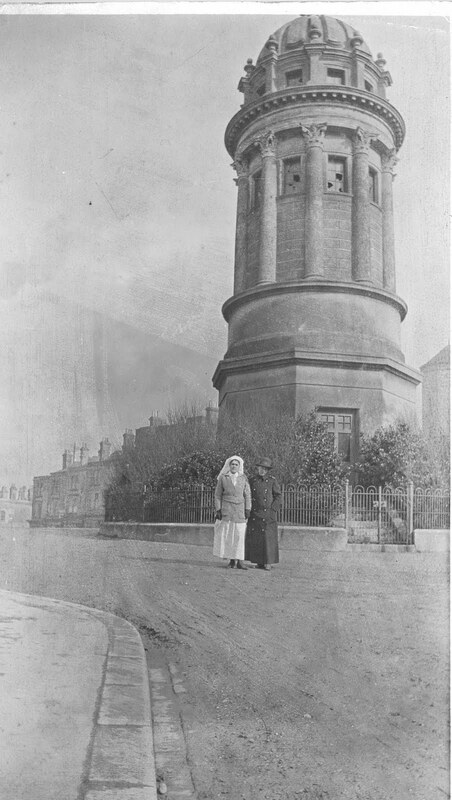 Mennonites were opposed to war and many were imprisoned, exiled or burned at the stake. Jacob Burkholder, a weaver, and his two brothers, John and Christian sailed for America in 1765 on the ship Myrtilla. They landed at Philadelphia, 21 September 1765. John and Jacob Burkholder settled in Lampeter Twp., Lancaster Co., Pennsylvania, while Christian Burkholder settled near Newbury in Franklin Co., Pennsylvania. The following Announcement was sent to Olive Tree Genealogy a few days ago. The Family History Library and the research specialists of the European Reference team invite you to a free, never before offered, week-long conference focused exclusively on European research. The conference, which will be held September 12th-16th 2016, is perfect for beginning and intermediate genealogists interested in learning about records of European localities, and Family History Library collections. Come and spend a week at the world renowned Family History Library learning from our expert staff of genealogists as well as experienced guest genealogists. 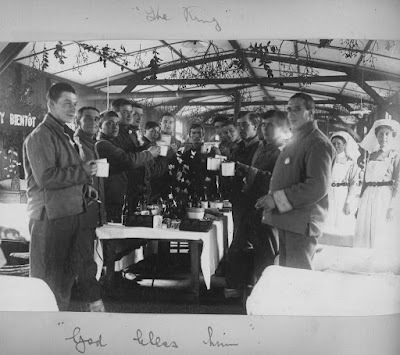 Learn how to effectively use historical records and how to do research in several European countries. Explore such topics as census, church, immigration, and vital records. Learn more about German, Swiss, Russian, and Polish research. 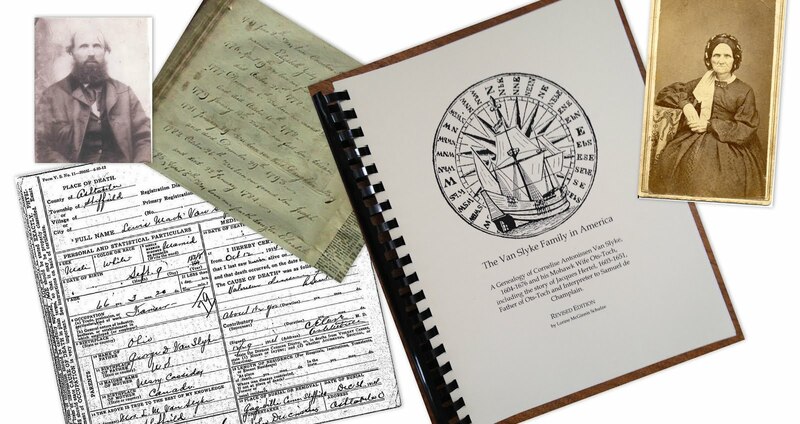 Discover new techniques, strategies, and methodology to apply to your genealogical research problems. 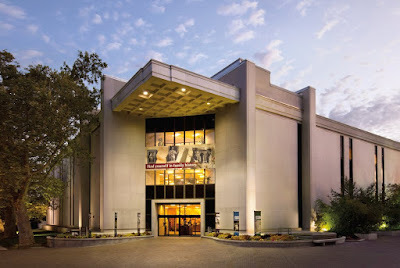 Most classes will be held at the Church History Museum Theater with the exception of the lab classes, which will be taught at the Family History Library in the B1 Lab. Seating in the Church History Museum Theater is limited to 190 participants, so be sure to register early to secure a spot. All classes will also be offered via webinar. Registration begins 1 Aug. 2016.To register for the free conference, visit the Eventbrite registration site at this link if you plan to personally attend in-house: http://bit.ly/29teGka. For those attending by way of webinar, please use the following registration link. http://bit.ly/29vC93P. 500 spots are available. 26 seats will be available for in-person labs which will all be held in the Family History Library B1 LAB. 100 spots available for webinar labs. We hope this conference will not only be informative and instructive, but that it will also encourage and inspire you to continue your family history research. Perhaps this will be just what you need to break through that 20-year-old brick wall research problem. We look forward to working with you! 2016 is the 100th Anniversary of Women first obtaining the right to vote in Canada. Manitoba, Saskatchewan and Alberta were the first Canadian provinces to grant women this right. Canadian women who owned land however had the right to vote as early as 1791 but that right was taken away in 1849. It was not until 1917 that British Columbia and Ontario followed suit and granted women the right to vote. I wish I knew if either of my grandmothers, who lived in Ontario, were involved in the struggle for women's rights, or at the very least were pleased with their new-found rights! But it is not something I thought to ask about when I was a young teenager. 1918 saw Nova Scotia come on board, then New Brunswick in 1919. Prince Edward Island and Newfoundland lagged behind, not granting women the right to vote until 1922 and 1925 respectively. But the biggest and most shameful holdout was Quebec. 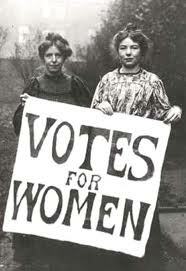 That province did not grant women the right to vote until 1940! I have talked before about Canada's Famous Five, that group of 5 courageous and determined women who forced Canada to recognize women as "persons" in 1929. 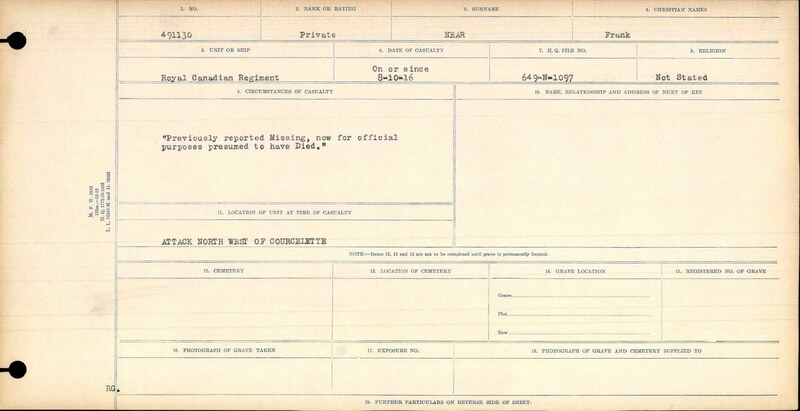 As of July 15, 2016, 307,588 of 640,000 files are available online via our Soldiers of the First World War: 1914–1918 database. 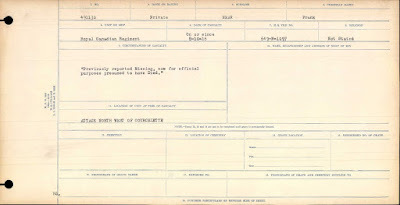 Please visit the Digitization of the Canadian Expeditionary Force Service Files page for more details on the digitization project. Latest box digitized: Box 5218 and Knaggs. You will be able to read any you are interested in by using the keyword Immigrant Ancestors. One of the first ancestors I've found setting foot in North America is Albert Andriess Bradt de Norman (ca 1607-1686 New Amsterdam) With his brother Arent Andriesse Bradt, he was among the early settlers at Rensselaerswyck in New Netherland. The yacht "Rensselaerswyck" set sail from the Texel for New Amsterdam, 1 October 1636, carrying colonists to Fort Orange (present day Albany New York) in the service of the Patroon, Killian Van Rensselaer, of Amsterdam, Holland. On board the ship were Albert Andriessen (Bradt) and his wife Annetje Barents of "Rolmers" and two children; and Arent Andriessen (brother to Albert). The voyage was through rough seas, and a son born to his wife during the voyage was named "Storm." Although this Storm was not our ancestor, and in fact took the surname Vanderzee rather than Bradt as his siblings used, the name Storm has carried on in our family. 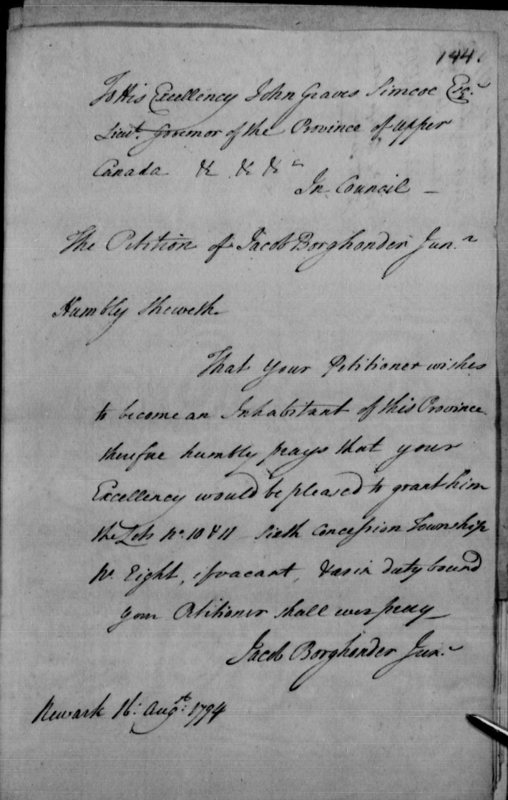 A direct ancestor is Storm Bradt, the grandson of Albert Andriessen, who married Sophia Uziele in 1711. As well my eldest grandson was given the middle name of Storm. The brothers were from Fredrikstad, a town at the mouth of the Glommen, the largest river in Norway. Albert Andriess Bradt, known as "de Noorman" was a land owner and tobacco farmer at Bushwick, New York, 13 August 1630. He established himself a few miles south of Albany on a stream, "Norman's Kil," where he built a mill. FN1 Memorandum listing passengers indebted to the owners of the ship Rensselaerswijck for voyage from Amsterdam to New Netherland, 1636-1637. Image courtesy of http://www.nysl.nysed.gov. 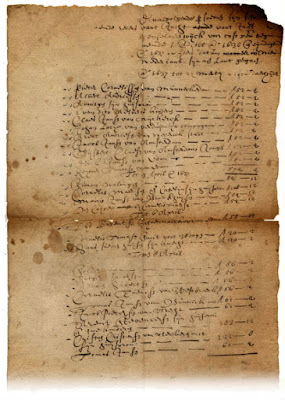 The heading of the memorandum reads: "The following persons are indebted to the owners of the ship Rensselaerswijck for board beginning on the first of October anno 1636 and ending anno 1637 when each person landed in New Netherland." This memorandum contains the names of 33 men, women, and children and gives the exact date [or time?] when each person disembarked the ship. 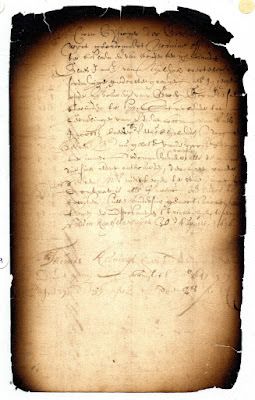 A Great List of New Netherland (New York) Family Genealogies! Are you hopelessly confused with Dutch patronymics? Can't figure out your New Netherland (New York) 17th century ancestors? 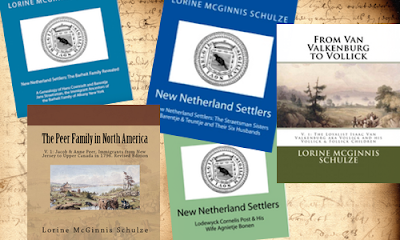 The following New Netherland genealogies are available to help. Some are part of Olive Tree Genealogy's New Netherland Settlers project and are published in book format. Other genealogies are online and can be enjoyed by all descendants. More genealogies are coming as the New Netherland Settlers project progresses so be sure to bookmark the New Netherland Settlers page for updates. 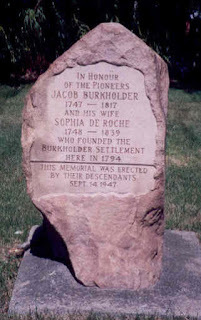 * BOELEN Boele Roeloffsen & his wife Bayken Arents New Netherland Settlers. Boele Roeloffsen & His Wife Bayken Arents From Amsterdam with information on the European Origins of the Family. 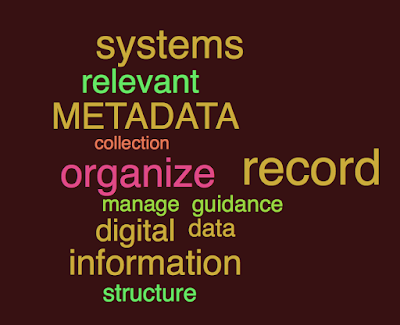 Denise Barrett Olson of Moultrie Creek Blog has given us a wonderful Moultrie Creek Guide called "Sharpen Your Digital Pencil: An Introduction to MetaData"
If you are a genealogist whose hard drive is full of photos, you need to start using MetaData to help organize your files. 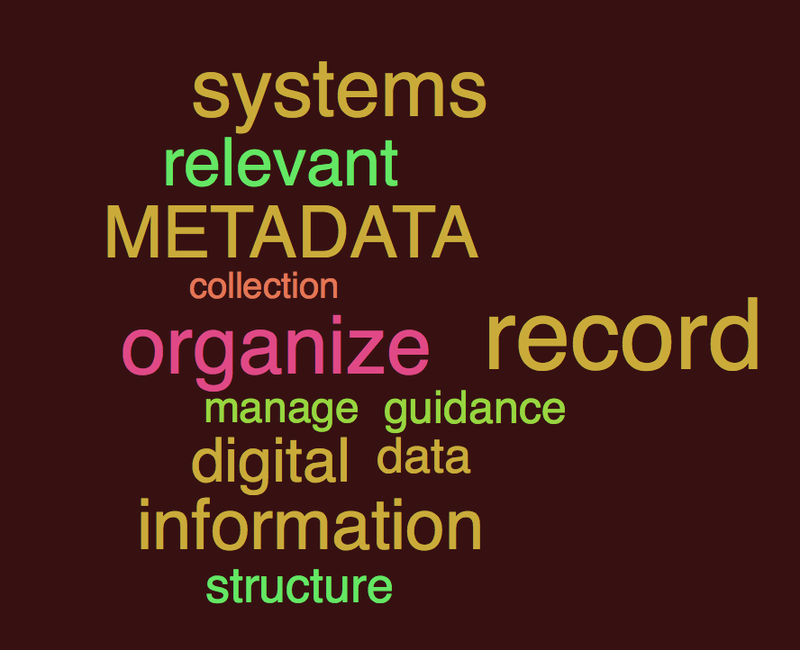 If you don't know what MetaData is, the official definition is "a set of data that describes and gives information about other data"
Using MetaData truly does make your digital life easier. Facebook accounts get spoofed all the time. But what does this mean? Has your account been hacked? Do you need to change your password? No you have not been hacked. You do not need to change your password, in fact, changing it does nothing to help or stop a spoofed profile. Spoofing is when someone duplicates your Facebook profile. It is not the same as hacking. A spoofer sets up a clone of your profile page and sends out Friend Requests to everyone on your friends list. This is not the same thing as actually having your account hacked into and your password stolen. In the case of actul hacking, yes, changing your password is a must. To help prevent being spoofed, you need to make sure that your list of friends is not public. To make your friends list private make sure you are on your profile page. That is your name, not the word "Home". Click on the word "Friends"
There is a pencil icon top right. Hover your mouse over it and you will see the word "Manage". Click on this and you see "Edit Privacy" Select this and you see a popup window with choices for setting the privacy of your friends list. You can see that mine is set to "only me" That means no one, not even friends I am linked to, can see who else I have as friends. Setting your friends list to something other than public will make your Facebook account not worth spoofing! If you were spoofed, or if you accidentally accepted a spoofed account friend request, go to the spoofed page and report it to Facebook then unfriend them. Warn others and warn whoever was spoofed so they can take action too. Remember to check your Privacy Settings every so often to make sure they are set as you want them to be! You probably don't want all your posts and status updates and photos being available to everyone including search engines, so be alert and be savvy about what it means to have settings as "public" vs "private"
You will be able to read any you are interested in by using the keyword Immigrant Ancestors. On Twitter I will be using #ImmigrantAncestors as the hashtag for searching. I'm going to share each week what I know of my immigrant ancestors to North America (whether that is USA or Canada). Let me start with my father's side, and the first immigrant I found many years ago when I was fairly new to genealogy research - Cornelis Antonissen Van Slyke from Holland. It was an exciting day for me when I discovered I was descended from a Dutchman who arrived in New Netherland (New York) in 1627. Cornelis Van Slyke's story is of a Dutchman who came to the New World as a carpenter at the age of 23, who became an interpreter for the Mohawk nation, was adopted into the tribe, and who met and married a French-Mohawk woman (Ots-Toch)who never left her native village. Their children, all raised at Canajoharie, one of the Mohawk castles or villages, became well-known and respected in the Dutch community. All except one left the village and married Dutch settlers. One of their children was my 8th great grandfather, Jacques Cornelissen Van Slyke who was known as Akes Gautsch, and whose Mohawk name was It-sy-cho-sa-quash-ka. Jacques was also an interpreter and one of the first settlers of Schenectady. From the research I have done, it appears that Cornelis, who was known as Broer Cornelis by the Mohawks, was a respected and hard-working man. I was so intrigued by Cornelis venturing into the new world when it was nothing more than a wilderness, and meeting and marrying a native Indian, that I wrote a book called "The Van Slyke Family in America: A Genealogy of Cornelise Antonissen Van Slyke, 1604-1676 and his Mohawk Wife Ots-Toch, including the story of Jacques Hertel, 1603-1651, Father of Ots-Toch and Interpreter to Samuel de Champlain" (REVISED EDITION) which is available online if there are other interested descendants. Stay tuned for next Saturday's Immigrant Ancestor story. I hope you will join me! Recently the wreck of the schooner Royal Albert was found in deep water off Fair Haven, 35 miles northwest of Syracuse. The crew survived the August 1868 sinking by getting into a small boat and making it to shore. Apparently the 104-foot vessel was carrying 285 tons of railroad iron that shifted in rough conditions, causing the ships' seams to break. Here is some information about the Royal Albert. I have not been able to find a crew list so if anyone knows of one, please let me know in the comment section of this post. Build info : 1858, J. Simpson, Oakville, Ont. Detail : Bound Oswego for Toledo, she split her seams and foundered quickly, her crew barely escaping in her boats. Speculation was that her cargo of RR rails was misloaded, forcing her sides outward. Owned by H.C. Holland of Owsego. 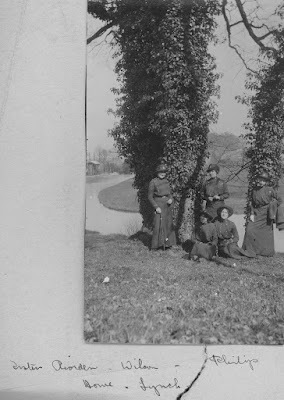 Olive Tree Genealogy has another article on Legacy Family Tree. In the early 1800s port cities in the United States bore the burdens of immigration. By the time immigrants arrived from their native country, many were tired, hungry, and poor. 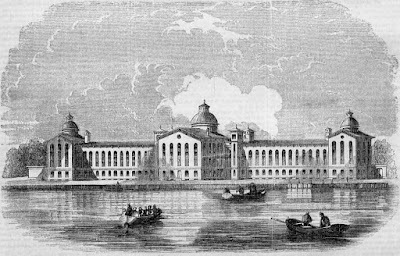 Many newly arrived immigrants ended up in the City Almshouse or Poorhouse. This meant the citizens of their new country had to take care of them. These Almshouse records are a genealogist’s treasure and often contain immigration details. Some contain basic information on each person admitted, such as the name of ship, the date of arrival in USA and the port of arrival. Others contain much more information. Almshouse records for New York City exist from 1758 to 1953. 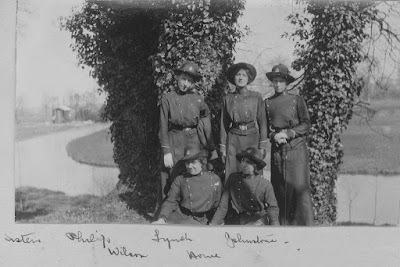 Olive Tree Genealogy has an ongoing project to transcribe and publish all New York Almshouse Records that contain immigration information. The first set of New York Almshouse admittance records is for the years 1782 to 1813. New York Almshouse Records 1782-1813. Many of us know our great grandparents' names. One of my great grandmothers was a Vollick. I knew that, and I had proof (baptism, marriage, census records)which I had found over 30 years ago. 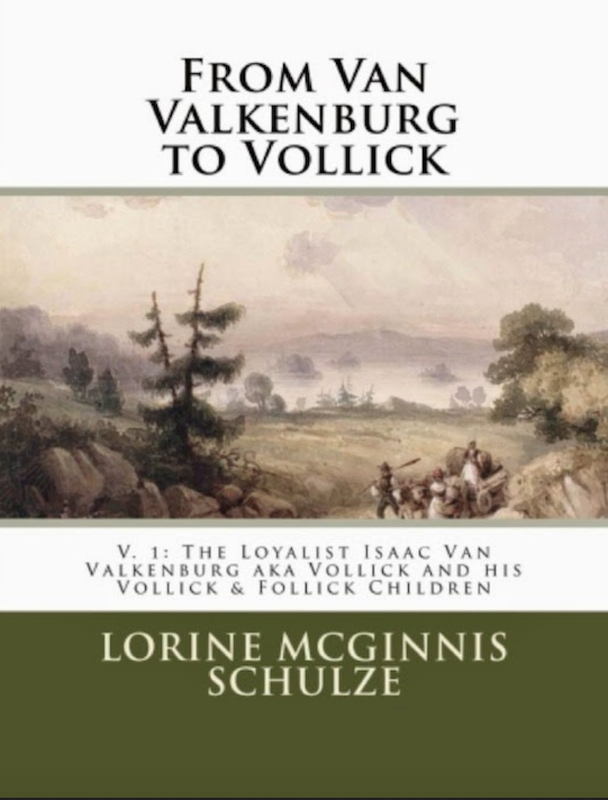 And then I stumbled on a very generous lady who steered me in the right direction with a casual remark "Did you know that your Loyalist ancestor Isaac Vollick used to be called Isaac Van Valkenburg?" 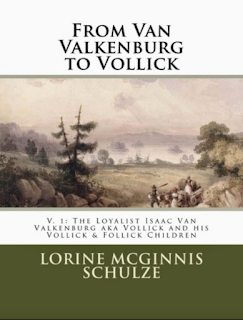 As a side-note, since my discovery 30 years ago that my Vollick ancestor was really a Van Valkenburg I have researched the family in detail and have now published three books on Isaac Van Valkenburg aka Vollick, the Loyaist, and his two sons Cornelius and Storm. Another example is my French LeRoy ancestor (prounced sort of like Le Wah in French - it's difficult to render it in text) settled in what is now Quebec in the mid 1600s. When he moved to New York, his name started being recorded as Larua, then Larraway. No doubt English speaking clerks mis-heard his name when he pronounced it! And so it began to be recorded as Larroway. 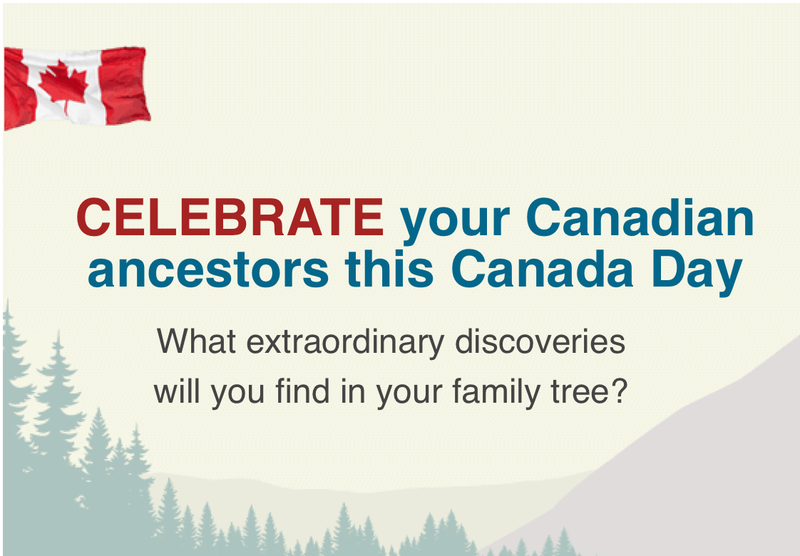 Canada Day Special on Ancestry!